Improve your skills in immunology! 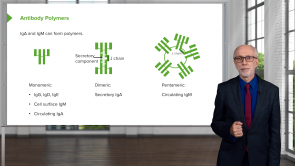 The function and structure of antibodies are two of the main topics featured in this course. Dr. Peter Delves will teach you all about T cells, cytokines and chemokines. In addition to the lectures, you are also granted access to a huge amount of download material, e.g. presentation slides and related articles. Quiz questions will help you assess your learning process. Humoral immunity, or antibody-mediated beta cellular system, is a type of immunity which is mediated by macromolecules found in fluids such as the secreted antibodies, complement proteins, and bound antimicrobial peptides. In contrast to cell-mediated immunity, the term "humoral" describes the non-cellular compositions of the blood, such as plasma and lymphatics. 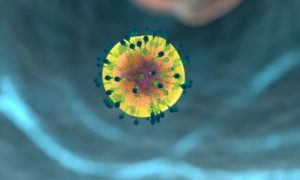 However, the cellular components of the blood, such as lymphocytes and antigen presenting cells, are important for mediating antigen-specific antibody reaction. Revision and revision : great efforts ! You just keep on connecting and repeating things that makes everything comprehensible ! This course made immunology so much clearer for me. So many questions I've had that would've taken me days to research have been sorted by going through the whole course. Thank you very much for making this! Amazing professor. Explains the concept thoroughly and makes immuno so much easier to understand! Very excellent professor! I learned so much more through Dr. Delves' lectures than my current immunology professor has tried to teach me in two semesters. Really wish I had more professors like this at my university. These lectures are the most intresting Ive seen on immunology topics, delivered clearly, no mnemonics, pictures help significantly, seemed more exciting than any fiction. I would advise it to all who are preparing for the medical exams. I am just so grateful for finding this site. the lecture was thorough and used little time to explain and it was very understandable. I love these videos. They are probably the clearest and organized immune lectures I have ever attended. Thank you so much! Great course, clearly structured and presented. The provided script and slides are very helpful! Immunology is one of my weakest area, but this lecture series have helped me delve into it and bring it together to the point that I am so confident about it. Thank you so much! I wish they will compile the print-able lecture notes into booklet one can purchase. Lecturio has really beautiful notes and diagrams that make learning easy. Makes it way more easier to understand, it is very summarized and clear. Excellent lecture! Dismissed several doubts I had on this topic why reading it from the book. Concise, succinct, and coverage for the pertinent material a medical student should know! Understood the concepts after not understanding them from reading my curriculum books.. I thought this was an excellent lecture in order to see the relationship between immune cells, their signals, and the corresponding responses from other immune cell types. It brings cytokines that could have been described in the earlier lectures but also fit here with the discussion of signaling.